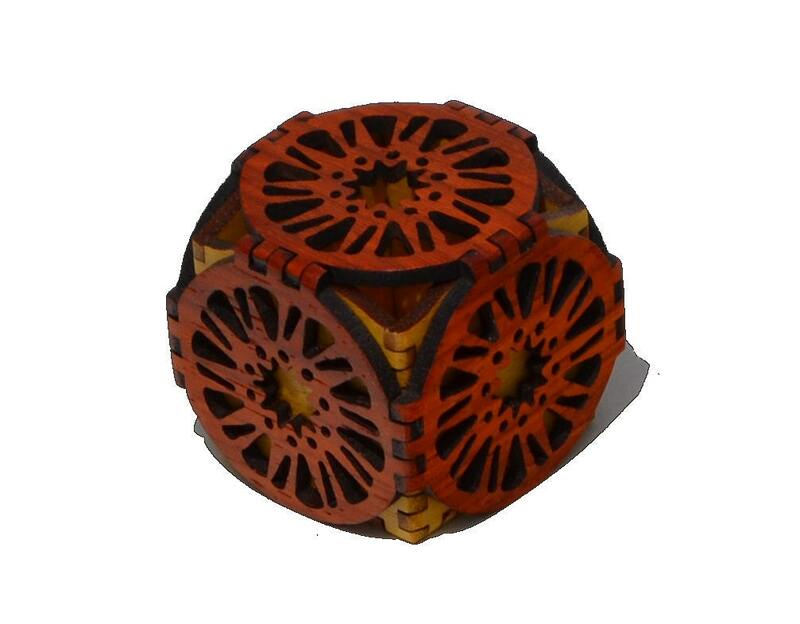 This small box features an abstract sun pattern made out of natural un-dyed hardwood. 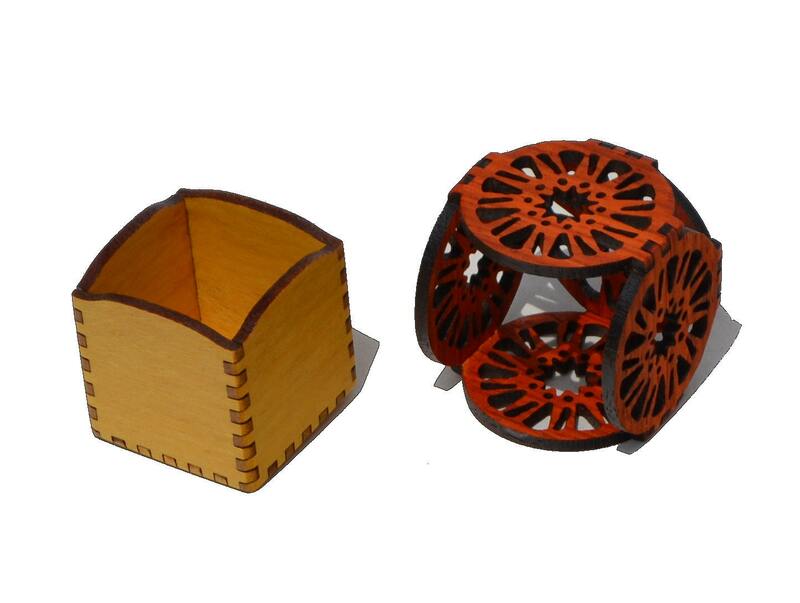 The box shown in the photo features a plain rounded inside box made of yellow heart and the lacy exterior is made out of padauk - a naturally orange colored wood. These are available in natural birch plywood, walnut, cherry, red oak and purple heart.